Scale of attack in Peshawar unprecedented; non-Muslims targeted in Nairobi. 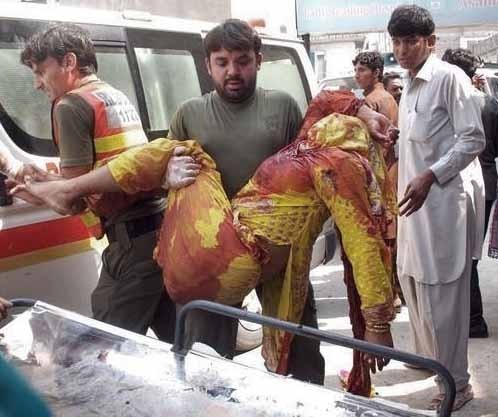 LAHORE, Pakistan (Morning Star News) – Islamic extremists today killed at least 78 people in an unprecedented church bombing in Pakistan, a day after Muslim militants in Kenya targeted non-Muslims in a mall attack that left at least 68 dead. Believed to be the deadliest assault on Christians in Pakistan, two suicide bombers struck All Saints Church in Peshawar, capital of Pakistani Taliban-infested Khyber Pakhtunkhwa Province bordering Afghanistan, after the Church of God congregation’s Sunday worship. Interior Minister Chaudhry Nisar Ali Khan said the dead included 34 women and seven children. Another 145 people were injured in the blasts, authorities said, and Khan said 34 of those were children. S.P. Asghar, arch deacon at All Saints Church, told Morning Star News by phone that around 300 members of the congregation were having lunch in the church compound when suicide bombers wearing police uniforms struck. Nearly 60 percent of the congregation had left the church premises after worship ended at 11 a.m., he said. The blasts shook the entire neighborhood, shattering glass in nearby buildings, he said. Asghar said the church administration had not received any specific terror threat by the security agencies. Police will investigate how the bombers managed to breach the security cordon, he added. Azeem Ghauri, a Christian lawmaker of the ruling Pakistan Tehreek-e-Insaf, told Morning Star News that the All Saints Church had one of the biggest congregations in the province. Peshawar Bishop Humphrey Peter condemned the suicide attacks targeted on the Christian community in Peshawar, saying the provincial and federal governments should find those responsible and administer exemplary punishment. Local television channels showed grieving relatives blocking the main Grand Trunk Road highway with bodies of the victims to protest the killings. Sectarian violence between majority Sunni and minority Shia Muslims is a routine in Pakistan, and Sunday’s attack will likely fuel fears the already beleaguered Christian community could be increasingly targeted. Islamist militants have carried out hundreds of bombings targeting security forces and minority Muslim groups they regard as heretical, but attacks on Christians have previously largely been confined to grenade attacks and occasional riots. 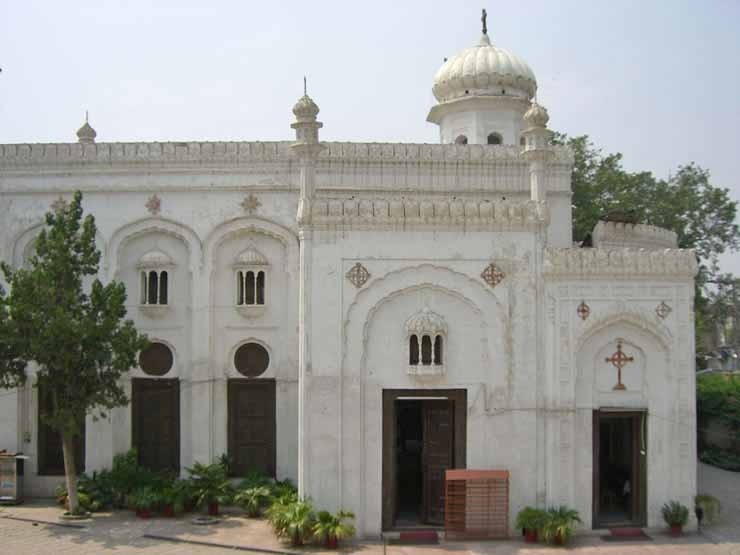 The attack on All Saints Church was condemned across Pakistan. 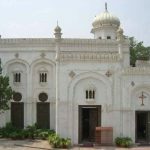 Social media was abuzz with condemnations from Christians and moderate Muslims, who said attacks on minorities and growing intolerance had brought Pakistan to the brink of collapse. The U.S. Commission on International Religious Freedom has warned that the risk to Pakistan’s minorities has reached crisis levels. Pakistan is nearly 96 percent Muslim, according to Operation World, with Christians making up 2.45 percent of the population. At the Westgate Mall in Nairobi, Kenya, gunmen from the Somali-based, Islamic extremist rebel Al Shabaab were said to have put up a poster in Arabic warning Muslims to leave, besides verbally ordering all Muslims out during the assault on Saturday (Sept. 21), according to local media. The group fighting the government in Somalia has taken responsibility for the attack that killed 68 people and wounded at least 175, saying it was retaliation for Kenyan-led African Union forces inflicting heavy losses on Al Shabaab in Somalia over the past two years, authorities said. About 10 to 15 of the militants from Al Shabaab were still in the upscale shopping mall at press time. The assault by Al Shabaab, which has ties with Al Qaeda, appeared to be the worst terrorist attack in Kenya since 1998, when Al Qaeda killed more than 200 people in a truck bombing at the U.S. Embassy in Nairobi. Al Qaeda hit the U.S. Embassy in Dar es Salaam, Tanzani at the same time. As Al Shabaab rebels have been has been driven from Somalia, many have gathered in border areas and launched attacks on churches, moderate mosques and government sites. Al Shabaab sent a message on its Twitter account saying the gunmen would never give up and would not negotiate using its hostages. Twitter has since closed their account. Some 1,000 people reportedly escaped from the mall, which is popular with foreigners, and Kenyan authorities were working to rescue others. Kenyan defense and internal security forces began an operation Sunday night, and by midnight local time the miltary announced “most” of the hostages had been rescued. Stating that four Kenyan military personnel had been wounded, Fox News reported that the 50 to 150 hostages trapped inside the building were hiding and not actually being held by the Al Shabaab gunmen.